Blue Sky RV Park has a washing machine room where you could launder clothes, and this is a glorious position for tent camping. You may watch all your favorite shows here at Blue Sky RV Park thanks to the cable TV hookups. Blue Sky RV Park is a top choice campground with people from Fall City. You could golf here, and restrooms are as expected offered. 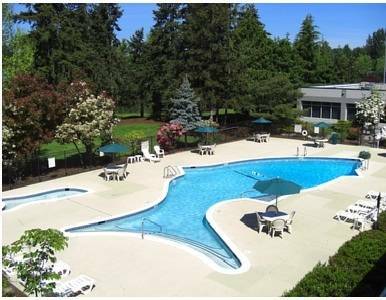 Loads of people stay here for the purpose of being in close proximity to Lake Sammamish State Park. When was the last occasion you went for a weekend of camping? Blue Sky RV Park in Washington is exactly the spot. So many local attractions and the wonderful variety of outdoors recreation will make you glad you came. Showers are offered at Blue Sky RV Park; there are RV hookups for your RV here. There are so many entertaining things in the neighborhood of Blue Sky RV Park, and it is one of scores of great campgrounds in this vicinity. Raging River has a nearby whitewater bit; the Preston to Fall City segment is a delightful 5-mile-long category III+ bit of whitewater. This segment of Raging River is well suited for whitewater paddlers who have been raft paddling for a while but who are not yet ready for the truly dangerous rapids. Outdoors recreation in the vicinity of Seattle-Tacoma-Bellevue, Washington, the metro area neareast to Blue Sky RV Park. Find info on campgrounds, marinas, hiking trails, ski resorts, lakes, beaches, parks, whitewater, golf courses and more.